The manuscripts of the epic creation myth Sureq Galigo, or I La Galigo, date back to the 14th century. However in Bugis oral tradition, the story dates back hundreds of years before that. 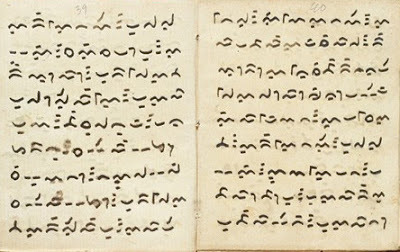 This pre-Islamic poem, central to the cultural heritage of the Bugis people of South Sulawesi and longer than the Mahabharata epic, might have continued to be shrouded in the unknown had Rhoda Grauer not stumbled upon it while researching her award-winning documentary Bissu in 1998. Her fascination for the poem was shared by Restu Imansari of the Bali Purnati Center for the Arts — who compares it with the surreal world of Salvador Dali — and Robert Wilson, a world-renown master of contemporary theater, who finds in it a sense of divine and human experience. Teaming up with numerous Bugis experts, including the late Moh. Salim, and the Change Performing Production Company from Milan, the core team of I La Galigo managed to form a group of mostly but not exclusively, Bugis actors, dancers, music experts, along with an international team of designers and technicians (All performers are Indonesian). After its inaugural performance at the Singapore Esplanade, Theatres on the Bay, I La Galigo reaped success for seven years on stages around the world. But it had always been in the planning to bring it back to its homeland in South Sulawesi. That moment has now arrived. On April 23 and 24, I La Galigo will be staged at the open air premises of the iconic Fort Rotterdam in Makassar, which the Dutch built around 1667, on the site of the Gowanese fort some hundred years before. While many of the actors have been replaced by young dancers from Sulawesi, the core of the organizing team has remained the same. Perhaps this will be the last time they will all be together, as plans to make the theater a yearly event in Makassar are in the offing. The Mayor of Makassar together with business tycoon Tanri Abeng and the Bossowa group of former president Yusuf Kalla are great supporters of the idea. With a modern research center on the Galigo and an annual theater performance organized by locals, Makassar could be the next major tourist destination in Indonesia. The pre-Islamic Bugis cosmos consists of an Upper, Middle and an Under — World, which can all be entered or left. I La Galigo recounts the creation and destruction of the Middle world, the realm of the white-blooded descendants of the gods. Perhaps we could say this is in fact the story of man kind, the vicissitudes of life, and the written as well as unwritten rules originating from some higher entities. The epic is also about the changing of character as time goes by. Rhoda Grauer, an Emmy-winning producer, writer and filmmaker who has conducted research on performance traditions in five regions in Indonesia, notes that Sureq Galigo is so much more than a beautiful story.